Jefferson City, MO | September 10, 2015 – This month marks the 80th anniversary of the Conservation Federation of Missouri. On September 10, 1935, Missourians from around the state came together at the Tiger Hotel in Columbia to discuss the deplorable state of Missouri’s natural resources. Foresters, hunters, wildlife enthusiasts and every kind of sportsman in between attended the meeting. Everyone realized our resources had hit bottom and they needed attention. It was evident early on that E. Sydney Stephens would take the lead. He strived to take the whole issue of conservation out of politics. He knew this was key. From there, the group needed an organization to carry the ball. Out of the meeting came the development of CFM. The 80 years since have been full of remarkable successes including the two largest; the creation of the Missouri Department of Conservation and passage of the Design for Conservation Sales Tax. 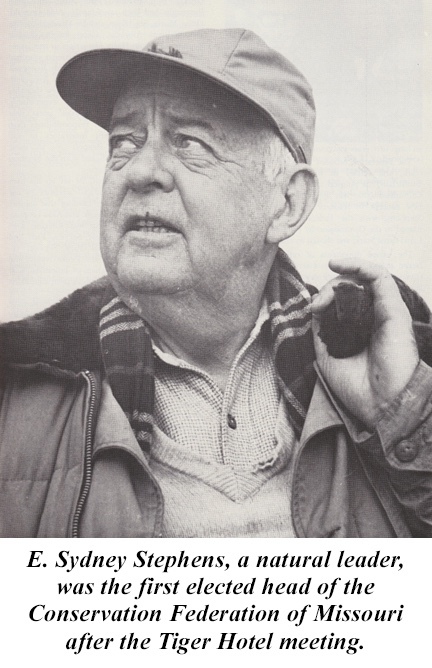 CFM’s newest video highlights a Missouri conservation legend, Bill Crawford. Mr. Crawford was present at the meeting and recounts the day and the condition of the state at the time. The video is posted to our YouTube channel. On this special anniversary, CFM must thank all of the citizen conservationists who supported CFM and promoted our mission over these past 80 years. Generations of future Missourians will reap the benefits of your efforts. 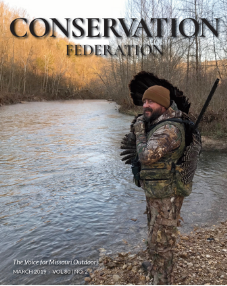 “In the past 80 years, if a major step forward was made concerning conservation in Missouri, you can bet the Conservation Federation of Missouri had a hand in it. This incredible organization has been the outdoors voice of citizens for nearly a century, and as time marches on, we only intend to make that voice louder and more effective,” said Brandon Butler, executive director. CFM has countless accomplishments to celebrate from the past 80 years, but we know it’s the next 80 years that matter now. We continue to work everyday to protect Missouri’s forest, fish and wildlife. Our Legislative Action Center is a new tool to allow residents to easily contact their elected officials and stay up to date on important legislation. New regional events help CFM connect with citizens around the state and become acquainted with our members. We are proud to be growing as an organization and look forward to 80 more years of representing Missouri’s citizen conservationists. To learn more about CFM and our mission, visit our website www.confedmo.org. Please consider joining as a member, and lending your voice to our efforts of conserving Missouri’s outdoors and natural resources for generations to come.